How Many and What kind of Scholarships Will be awarded and from Whom? Each of these scholarship recipients will also represent his/her respective community as a Junior Grand Marshall for the Holiday Extravaganza Parade in downtown Pontiac on Saturday, December 1, 2018. The Cities of Auburn Hills and Pontiac and the Townships of Waterford and White Lake participate in and support the parade. One of the parade’s presenting sponsors, Genisys Credit Union, is among Michigan’s largest credit unions, with more than 200,000 members and 31 branch locations. It also provides loans and various services to small and mid-sized businesses and has consistently received a 5-star Bauer Financial Rating for safety and soundness. 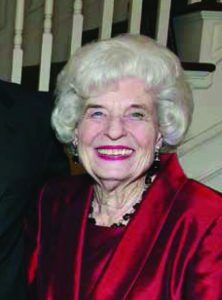 The late Fran Anderson, in whose memory the scholarships are named, was an inspirational woman who epitomized the phrase, “making a difference”. She was a superb teacher in the Pontiac School District and an extraordinary volunteer and advocate for numerous civic and community organizations, including the Holiday Extravaganza, on whose Board of Directors she served with distinction. addresses, in 500 of the applicant’s own words, what the applicant has done to “make a difference” in his/her local community. 2.) select their community’s scholarship recipient, based solely on the quality of his/her essay. The essays will be submitted as anonymous entries to the officials, whose decision is final. The Fran Anderson Making a Difference Scholarships will be awarded during a program that will be held at 8:30 a.m. on Saturday, December 1, 2018 at the 50th District Court in downtown Pontiac. The parade will follow at 11:00 a.m. Scholarship recipients must be present at both events. When is the Scholarship Paid and to Whom? The proceeds of the Fran Anderson Making a Difference Scholarships will be paid directly to the recipients’ educational institutions, no sooner than the start of their fall term, after the Genisys Credit Union has determined that the recipients are enrolled.